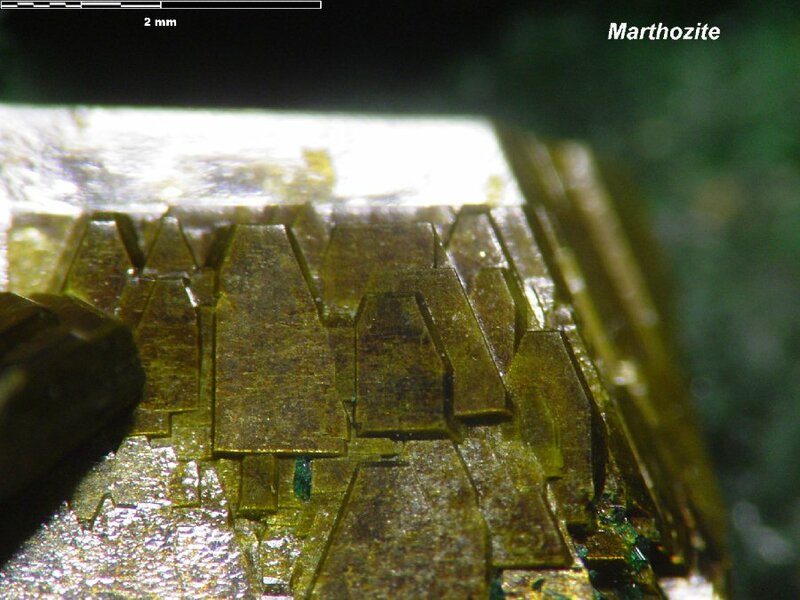 Comments: Olive green crystal of marthozite showing multiple face development on main crystal. Schumacher Collection. Location: Musonoi Mine, Kolwezi, Western area, Shaba Cu belt, Shaba (Katanga), Congo (Zaïre).